It’s official. Britain’s Got Talent will compete with The Voice for viewers in the same time zone when the series starts this week. Simon Cowell is confident the ITV show will dwarf The Voice in the ratings. Both shows offer great entertainment so it will be interesting to see the majority of people’s preference. The Voice will clash with ITV rival Britain’s Got Talent when the show launches next week as the channels compete for viewers. The BBC has moved the start time of its 95-minute singing programme from 7pm to 6.45pm on Saturday 13 April. It will overlap with the first BGT which will run from 7pm to 8.35pm. It is thought the ITV scheduling allows the show to be watched by younger fans and has been a regular slot for some of its biggest entertainment shows. Britain’s Got Talent has started at 8pm for the last three years. The competition puts more pressure on The Voice to succeed after last year’s series experienced a big drop in viewers after its early stages. The semi-final drew half the audience it managed at its peak. 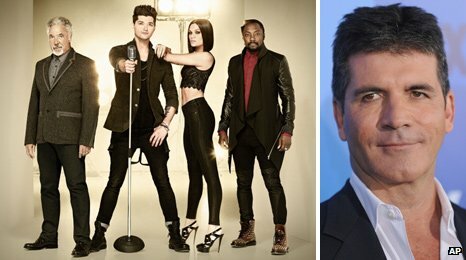 When Britain’s Got Talent competes with the Voice for viewers this upcoming series, which will you be watching? Personally, I prefer Britain’s Got Talent because of the sheer variety of entertainment and the funny bits when contestants really shouldn’t have come in the first place, but I have a feeling the majority of people will be switching between both shows. What do you think?